X:Morph: Defense has descended onto the Nintendo Switch as a digital download for the Nintendo eShop and today we explore what this game has to offer in our latest game review. Is being in charge of an invading alien race worthy of your time? Let’s take a look! 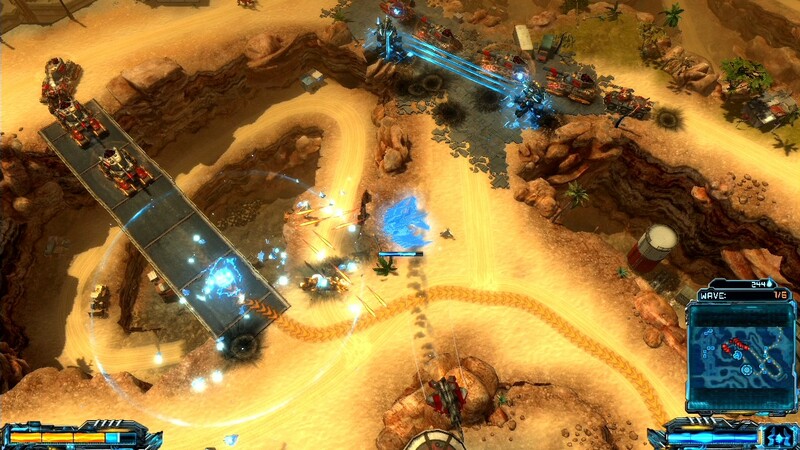 Originally released onto the PlayStation 4, Xbox One, and Windows PC (via Steam) in 2017, the tower-defense-themed twin-stick-shooter X-Morph: Defense now finds itself descending onto the Nintendo Switch as a digital download via the Nintendo eShop; and despite this new platform the game remains the same as ever. Developed and published by XMOR Studios, X-Morph: Defense puts players in control of an invading alien race who look to extract Earth’s resources, as well as terraform the planet, into their own ideals. This story all begins when the aliens descend upon earth after deciding that it has the best resources available and upon arriving on the planet they find themselves under attack from earth’s army forces. From here the story proceeds from mission-to-mission, with each mission being a new country, as players are tasked from defending from each countries army forces in order to take control of that particular location and extract its resources. The objective is simple. Defend the base, known as a Harvester, by any means necessary, and this is achieved through the use of defensive gun turrets, electric wires and a spaceship that can be navigated anywhere within the area to shoot down enemy targets. 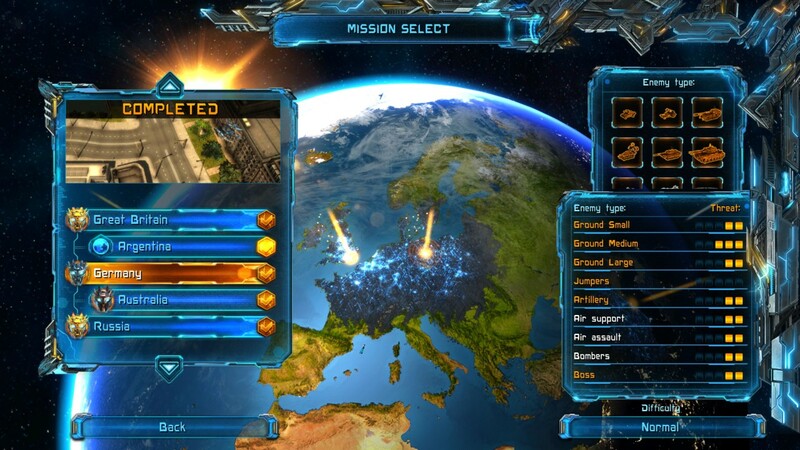 How the game plays is also relatively straight forward as after selecting a mission, each of which take place within a different country, players will be given time to setup defences from the oncoming attack. 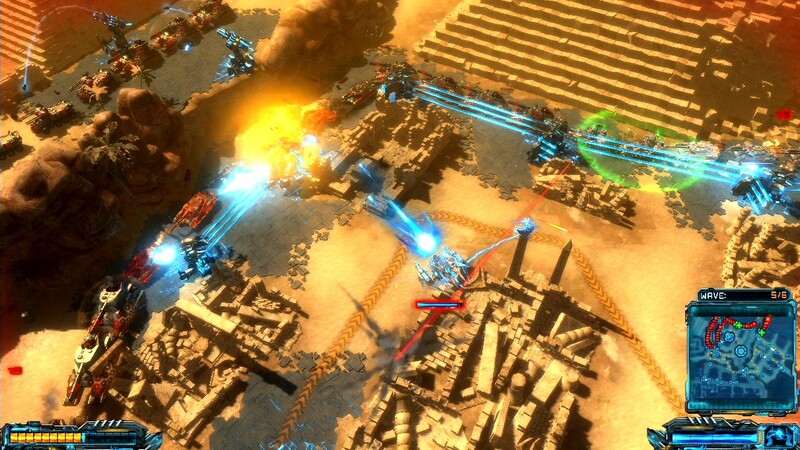 Building defences uses resources from the Harvester and more turrets, of which can be linked together to create electric wires that block the enemies path, can be created by destroying the oncoming enemy. The more enemies that are destroyed the more defences that can be created. Of course it’s not just about creating a good defence as after this setup period –of which occurs after each wave – players can control the spaceship to shoot down oncoming enemies. 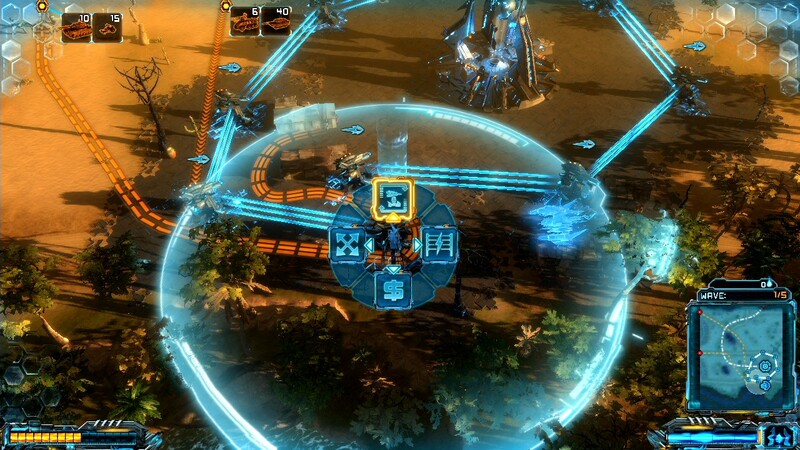 What’s more surprising is that defensive turrets can be created, and moved, during each wave of attack – so you are not restricted to creating them at the start of each wave. 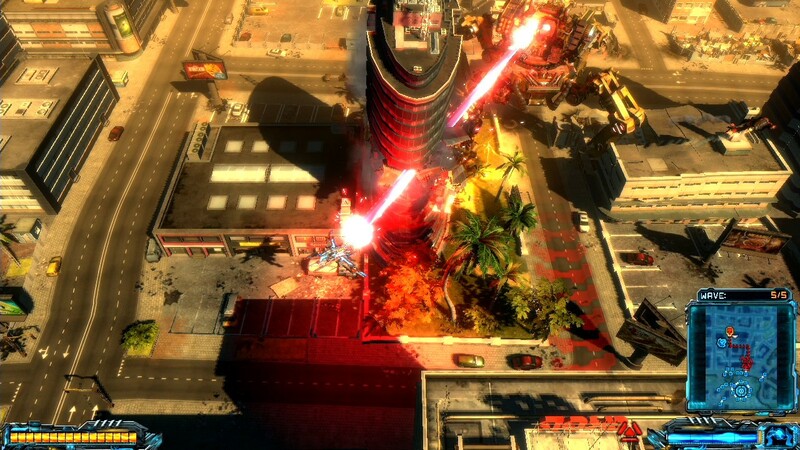 That’s not the only variety either as while each mission is separated into numerous waves some missions will contain a boss wave which sees a huge enemy rampaging through the city to your destination. Naturally the first point of call is to destroy it; but by using defences and destroying buildings you can block its path and cause it to take a longer route. This ‘longer route’ approach also applies during regular waves by linking turrets together to create electric wires that block the path. Blocking the path will result in the enemy having to find an alternate route; but bizarrely you cannot block the entire path. A design flaw perhaps? Or maybe the aliens want to fight after all. To aid in the battle against the humans players can upgrade the stats of the spaceship, turrets and electric wires by using experience points (or upgrade points if you prefer) earned in each mission. These will be awarded after a successful victory in a mission and can be used before another mission. Sadly due to the simplistic, almost confusing, nature of the menu design you may end up spending these experience points without actually knowing what you are spending them on. Later missions for instance will be near impossible to complete if you do not follow the guidance on the screen and use experience points on what the game suggest you should spend it on. Naturally it is entirely up to you on what you want to spend it on; but in this case it is best to follow the guidance suggest for each mission. 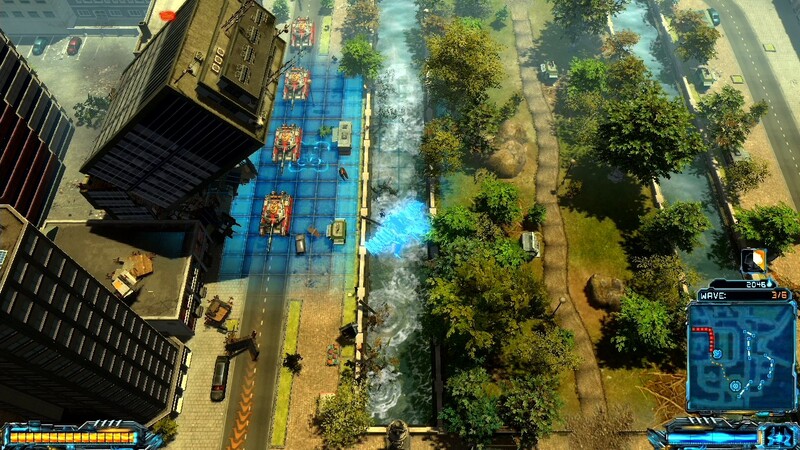 This is the ‘core gameplay’ that X-Morph: Defense offers and it is a great introduction to the world of tower defense and twin-stick-shooters which has a nice visual flair with some great voice talent. Sadly it is limited in content, with only a main campaign and survival mode being included, and finds remaining content forced behind a DLC pay wall. Usually this wouldn’t be an issue but when the icons are locked out on the main screen then it does feel like you are getting half a product. That’s not the only disappointment either as the game, as much fun as it can be, does eventually become repetitive, tedious and long winded – with each mission lasting around thirty minutes in length and offering the same type of gameplay throughout. A confusing menu design, especially when it comes to levelling-up turrets and the spaceship, also means that progressing forward can become difficult. X-Morph: Defense is a simplistic tower-defense game with twin-stick-shooter elements, but despite its flaws it does have some fun elements and stands well on the Nintendo Switch in both handheld and portable modes. Overall it’s a fun game; but due to its repetitive nature it’s not one that is designed for long gameplay sessions… that is unless you like this type of game. X-Morph: Defense is now available is now available for the Nintendo Switch and is also available for the Xbox One, PlayStation 4 and Windows PC (via Steam).